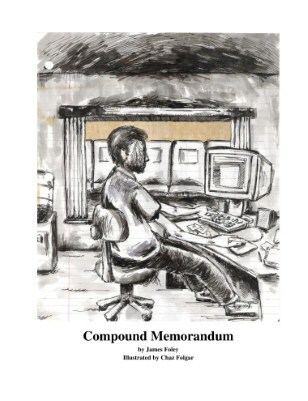 Compound Memorandum is a work of fiction by James W. Foley, former non-governmental office drone in Baghdad. From 2008 to 2010, James lived in a compound comprised mostly of T-Walls and checkpoints. Compound Memorandum was illustrated by Chaz Folgar , edited by Yago S. Cura, and published by Hinchas de Poesia Press in 2010.